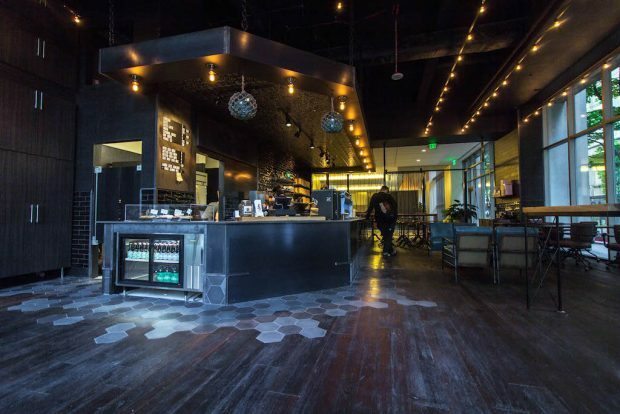 The Anchorhead Cafe at CenturyLink Plaza in Seattle. 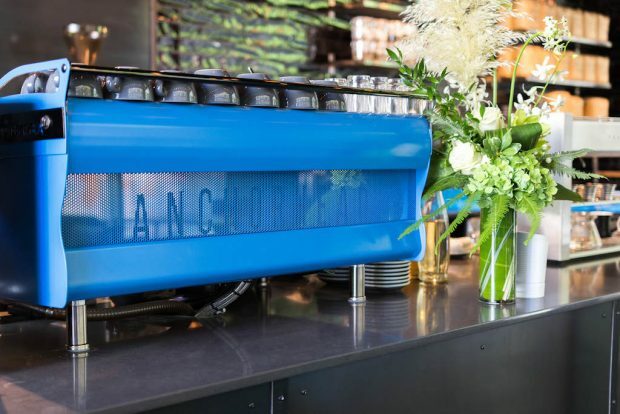 All images courtesy of Anchorhead Coffee Co.
Seattle-based roaster Anchorhead Coffee opened its flagship brick-and-mortar café last week, marking a great stride in the company’s efforts to grow beyond its bottled RTD cold brew origins. 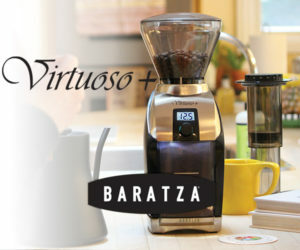 Cofounded by Mike Steiner and Jake Paulson in Steiner’s home garage in 2013 with a Diedrich 2.5 and a buildout to pass commercial kitchen inspections, the company has always sourced, roasted and brewed its own coffee in-house, but made a name for itself initially through its retail cold brew, from which it now seeks to more publicly expand into recognition as a full service coffee company. 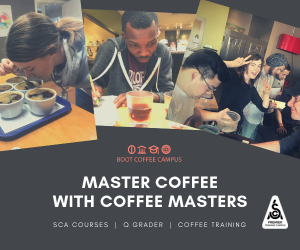 Coffee service at the 1,000-square-foot Anchorhead flagship centers on a 3-group Synesso MVP Hydra paired with dual Nuova Simonelli Mythos Clima Pro grinders, while single-cup manual brews are executed with robotic efficiency and precision by a Poursteady machine. 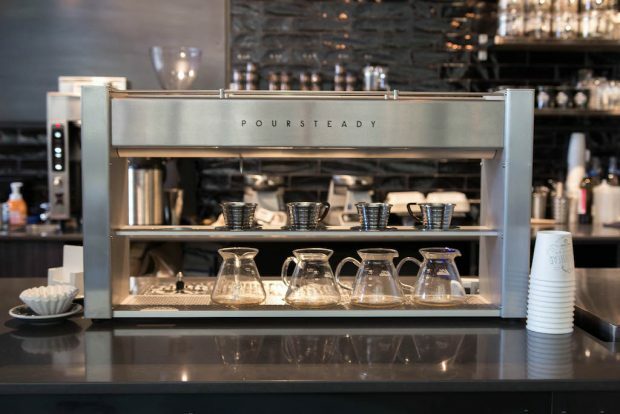 “It’s a super cool machine, we’ve been pretty impressed with it so far,” said Paulson, praising the automated pourover bot for its ease of use, versatility and speed. 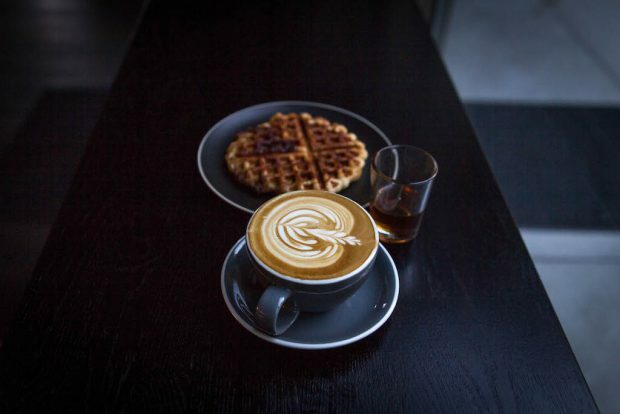 Beer, wine and small plates are served at happy hour, while hearty and creative fresh-baked breakfast and other edible goods are also on offer throughout the day at the coffeehouse, including the “quaffle,” made from croissant dough rolled up cinnamon-bun style and then waffle-ironed to flaky, caramelized perfection, served with maple syrup. 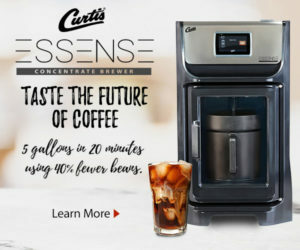 To this point growth has been swift for the business, particularly for its cold brew, which quickly found space on shelves around the Pacific Northwest at retailers such as QFC, Whole Foods, and PCC Natural Markets. 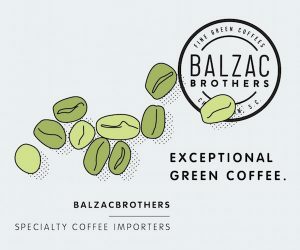 Production now occurs in a 4,000-square-foot warehouse on a Loring S15 Falcon, at which their goal with the greens they source predominantly through Royal Coffee, Atlas Coffee Importers and Red Fox Coffee Merchants is always to bring out the best possible flavors of a coffee regardless of what its intended brew method will be, while also carefully sourcing for year-round blend consistency as well. 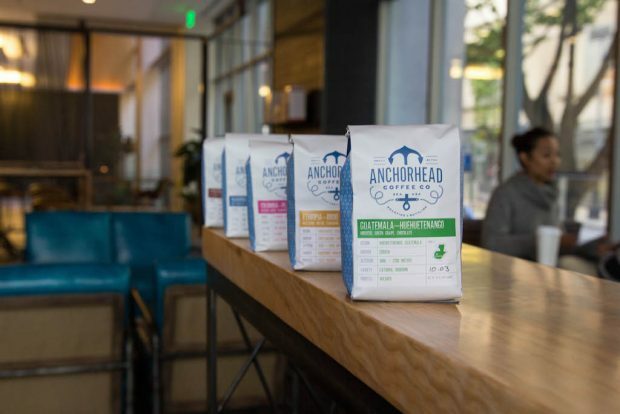 With the doors to the Anchorhead café at 1600 7th Avenue in Seattle’s CenturyLink Plaza opened for barely two weeks, the plan is to let the shop settle into a groove and then Anchorhead may consider additional locations in about a year, Paulson said, adding that neighboring Bellevue, Wash., might offer some promising territory.